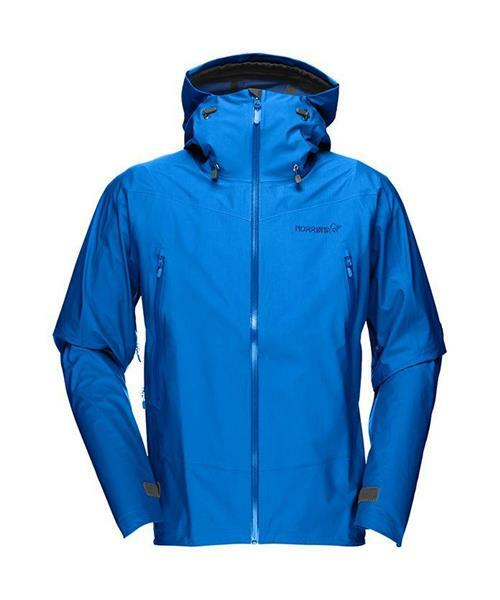 Norrona's most versatile all season waterproof and breathable jacket. Light enough to be perfect for summer use and durable enough for winter use. This jacket is developed for all kinds of mountaineering activities. Made of a special developed GORE-TEX® fabric with a slightly brushed and comfortable backer and high RET 5 breathability. The cut of the jacket is on the shorter side, with critical features such as long underarm vents, above harness pockets, storm hood fitted for helmet and asymmetric cuffs for better weather protection. Norrona recommends stashing your cell phone in the designated pocket on the inside of the jacket, in order to prevent moisture damage. GORE-TEX® with interlock knit backer: Products with this unique 3-layer construction are made for year round use for a wide range of outdoor activities. This 3-layer GORE-TEX has a special GORE-TEX membrane, bonded to a highly breathable outer material and an incredibly comfortable interlock knit inner lining. The benefit: comfort in warm and cold weather and no movement between the three layers, which means less wear and tear, and even greater durability.